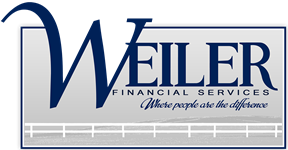 Our Process | WEILER FINANCIAL INC. When we start working with you we’ll spend a lot of time planning your retirement by understanding what is important to each of you. What you want to do and where you want to go will help us understand how to plan and create A strategy towards your dream retirement. Every retirement situation is different, that is why we meet regularly and constantly monitor and adjust a your customized plan to adapt to your always changing Retirement Lifestyle. Together we will build a plan and a strategy to help you pursue what’s important to you in retirement. While you are still working and saving we’ll meet periodically to update the plan and monitor your portfolio through a risk based strategy to make sure you are on track to retire at the projected date. If a situation should arise such as a buyout or a loss of employment we will always revert to the plan and see if we are still on track. We can always make adjustments to the plan and your situation to help get you towards your destination. Once you have set your Retirement Date we will update your Plan and start the income design process by readjusting the portfolio from a growth and accumulation allocation to a Growth and Income allocation and still manage the Risk Based Investment Strategy through a risk analysis software. We will meet at least twice a year to review your retirement plan and Risk Based Income Designed Portfolio. If the markets take a correction we’ll update the plan to see if it affects the longevity of the plan and determine if something has to be adjusted. We will make the necessary adjustment by being proactive as opposed to reactive.